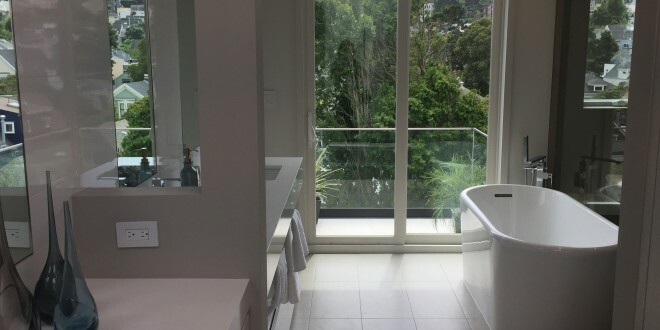 I’ve been noticing more and more homes on Broker’s Tour have bathrooms with views these days. I spotted this one on Tuesday in a beautifully redesigned home that just came on the market at 4335 23rd Street in Noe Valley. With such an amazing view from the bath, this room becomes a sanctuary to escape the hectic pace of life. Previous: When Apps Are Out to Lunch! Next: How Selling Off-Market Can Leave Over $250,000 on the Table!